Faux gem embellishments on angels' wings and at base of heart. Black vinyl handle and black-leather clasp detail. 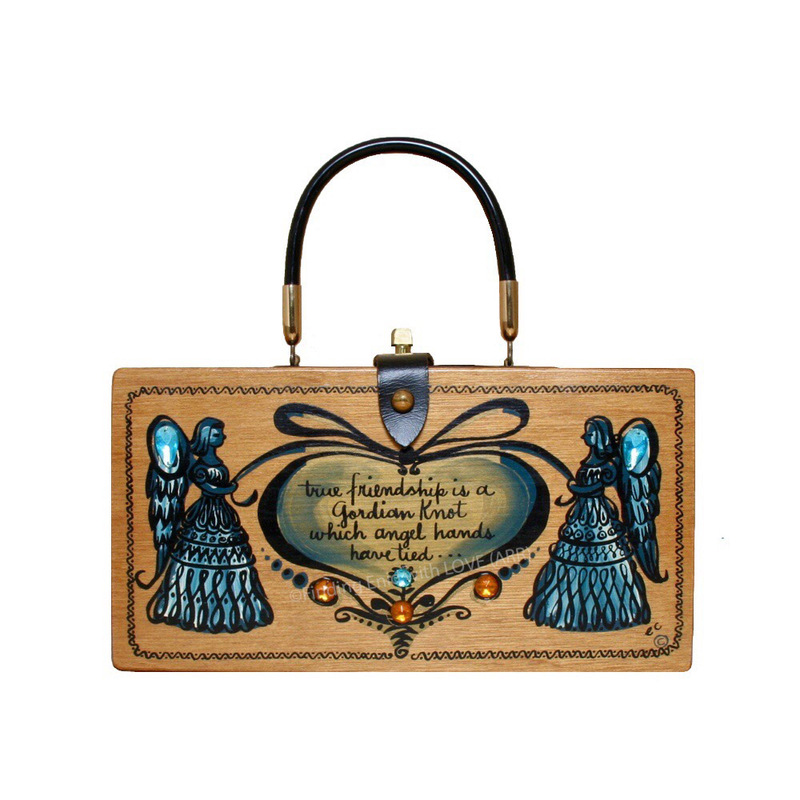 Box purse with a screen-printed design of two angels in profile facing a large, central heart framing the following text: "true friendship is a Gordian knot which angel hands have tied..."
Reg. no. GP31887; 12/15/1961; "Anglels and true friendship; Angels holding tie over heart"
Shows less-than-typical wear, including to handles; original screen-print in excellent condition; original jewels intact and in place.